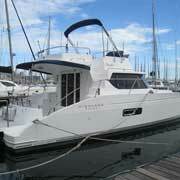 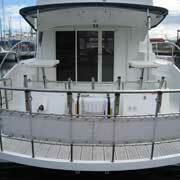 Fountaine Pajot Highland 35 Duo Pilot motor vessel Oceanic version for sale in Cape Town. 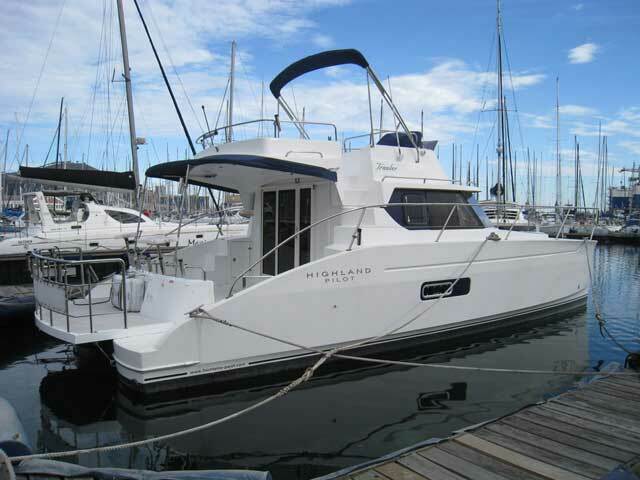 The vessel offers exceptional volume and modern lines, innovative design make the Highland Pilot an outstanding craft in her size category. 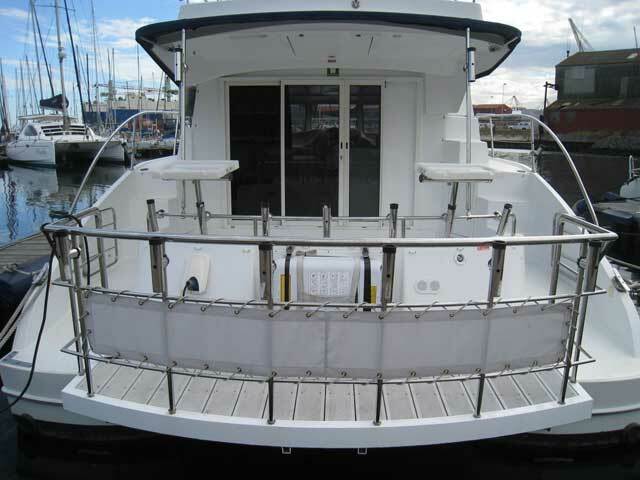 2 x 110hp Volvo Penta D3 5-cylinder drive-shaft engines, 800L diesel storage in Roto Moulded tank, fly-by-wire engine controls, engine management system, 3 batteries. 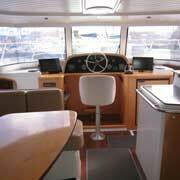 Consumption: 7 knots; 2.8L/hr per engine, at 16 knots; 16L/hr per engine and at 20 knots; 21:/hr per engine. 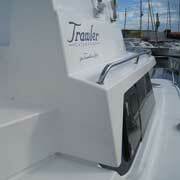 Maximum range: 1000nm, Maximum speed: 21 knots, Cruising speed; 7 knots. 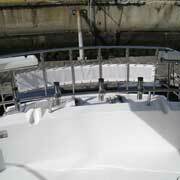 Hydraulic steering from cabin and flybridge positions, Furuno Nav Pilot. 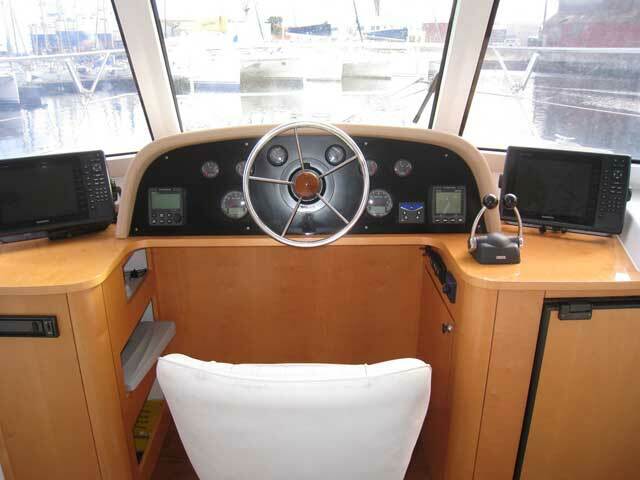 2 Fixed VHF’s, 2 x Garmin GPS Map 1020 GPS chart plotters, Fish finder, Furuno echo sounder, bulkhead compass, battery management system, shore power connection and cable with Dolphin charger, music system. 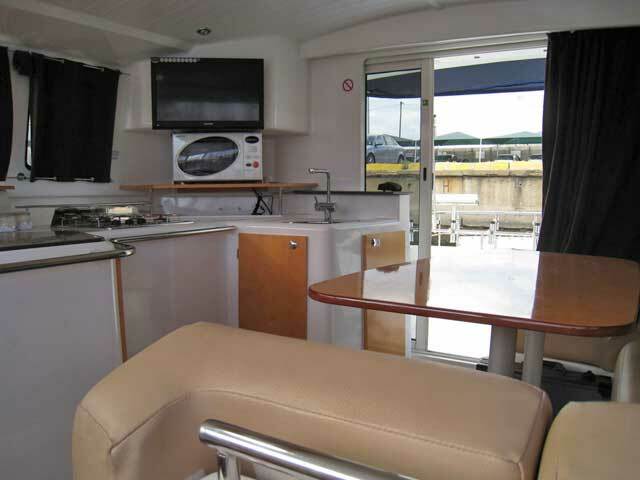 Total berths: 4 in 2 double cabins, 2 heads (1 electric), 2 showers, 2 basins, leather upholstery in saloon and material in cabins, modular floor with laminated wood inlays. 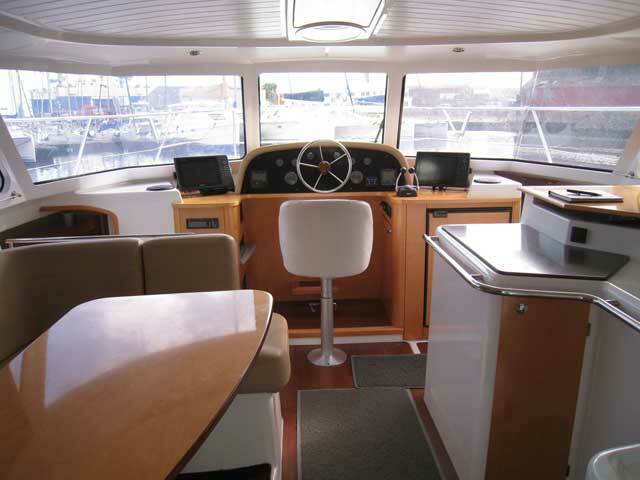 A light and open-plan interior with a white modular interior and wood trim finishes, well maintained low maintenance finish. 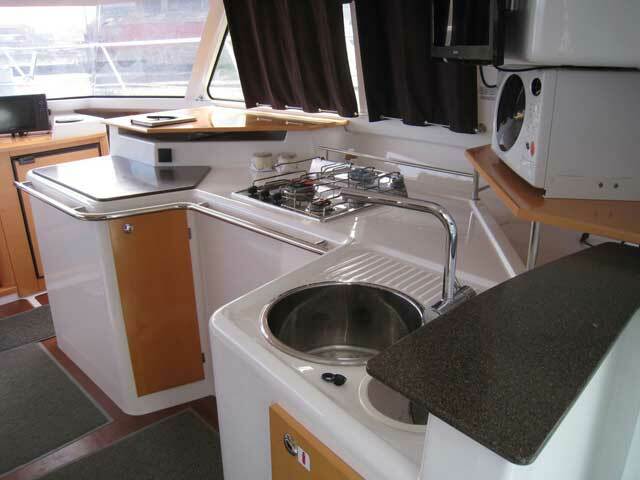 3-Burner hob, microwave, Isotherm fridge/freezer, gas bottle, single stainless steel sink, pressurised hot and cold fresh water system. 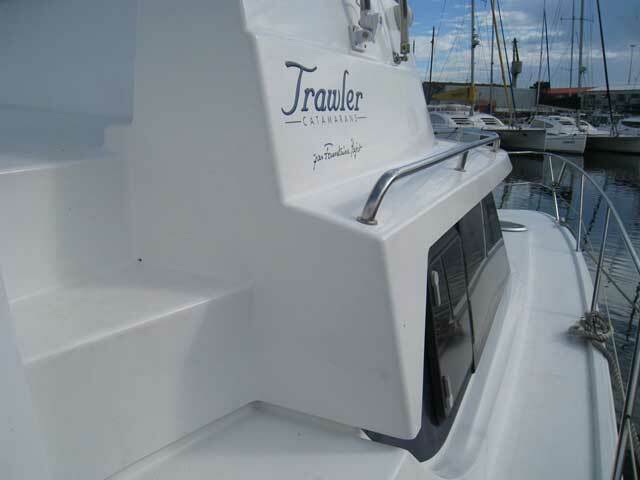 285L Water storage in 1 Roto Moulded tank, pressurised hot and cold fresh water system - hot from calorifier, 4 bilge pumps - 2 manual and 2 electric. 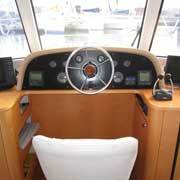 Rocna anchor, chain and warp, 1000W electric windlass, 4 life jackets, life ring, 4 fire extinguishers, first-aid-kit, Category B safety certificate - valid till December 2015. 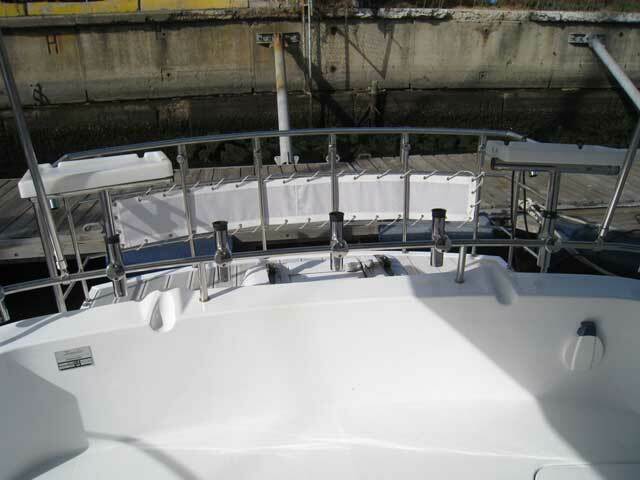 LCD Flat screen, dive platform with rod holders, cutting boards, cold water stern shower, flybridge cushions and mattresses, flybridge bimini, boarding ladder, enclosure for deck, fenders and mooring lines. 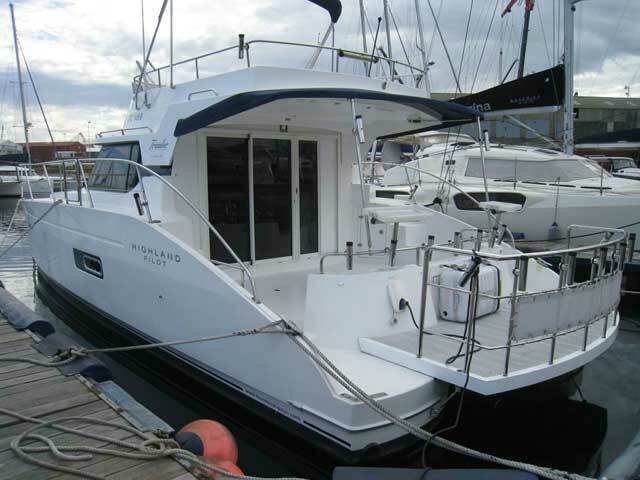 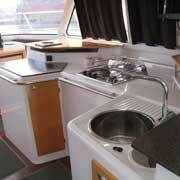 35 Fountaine Pajot 35 Pilot in very clean and well maintained condition. 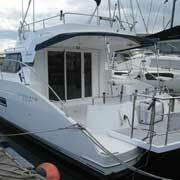 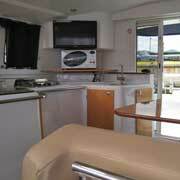 She is well equipped and has a spacious layout with cabin and flybridge steering.